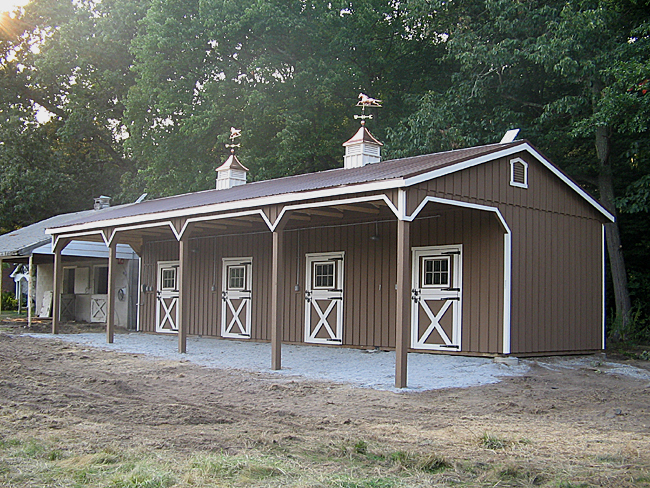 12'x48' Barn built with 10' high walls and optional metal roof, cupolas, gable vents, two tone stain and windows installed in Dutch doors. Roof of this barn is built on-site using trusses to create 10' overhang and more headroom inside of stalls. When building roof on site, an overhang can be extended to 12' in width. Price as shown with all options - $24,800 (excluding delivery, setup and sales tax).